In medium bowl, mix all ingredients except bread. 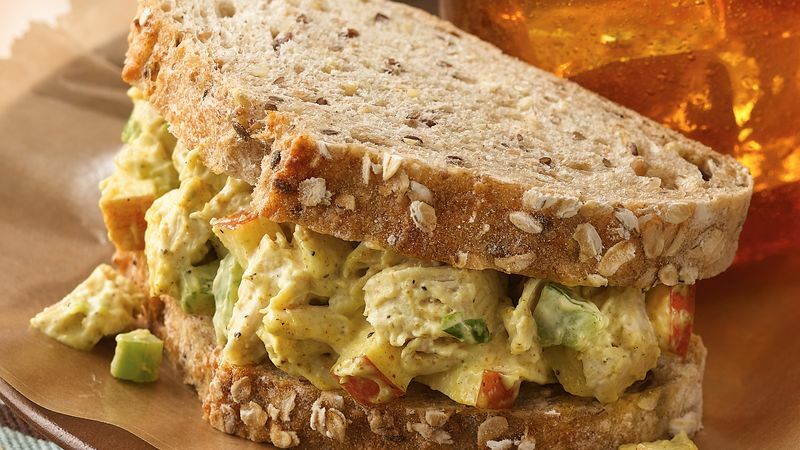 Spread turkey mixture on 4 slices bread. Top with remaining bread. Skip the bread and serve this turkey salad on a lettuce-lined plate with cut-up fresh vegetables or fruits. For less fat per serving, use fat-free or reduced-fat mayonnaise.